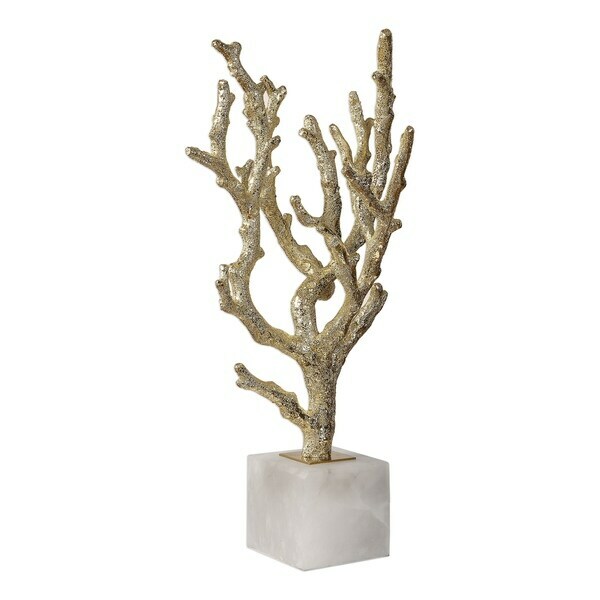 Lightly antiqued, silver plated cast coral displayed on a white marble cube base. Dimensions 12.75 In. X 12.75 In. X 22.75 In.